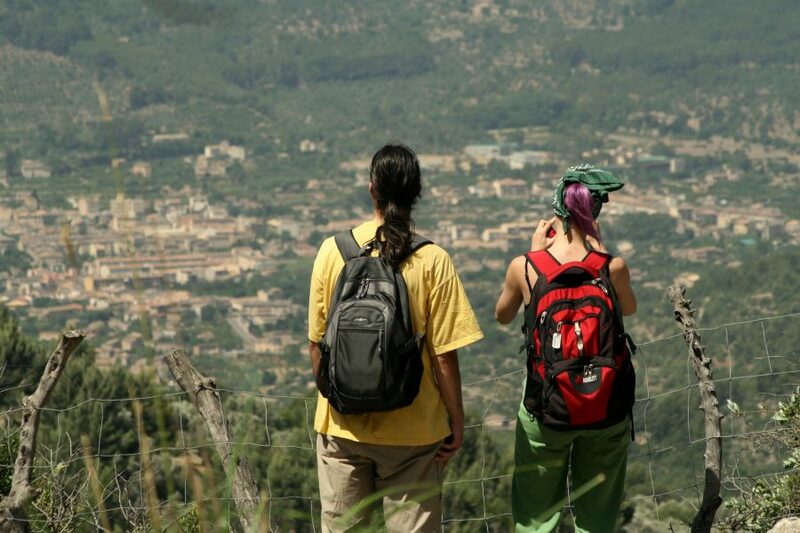 This walk awards you with fantastic views over the Sóller valley and takes in four picturesque historic towns and villages, Sóller, Biniaraix, Fornalutx and Port de Soller. 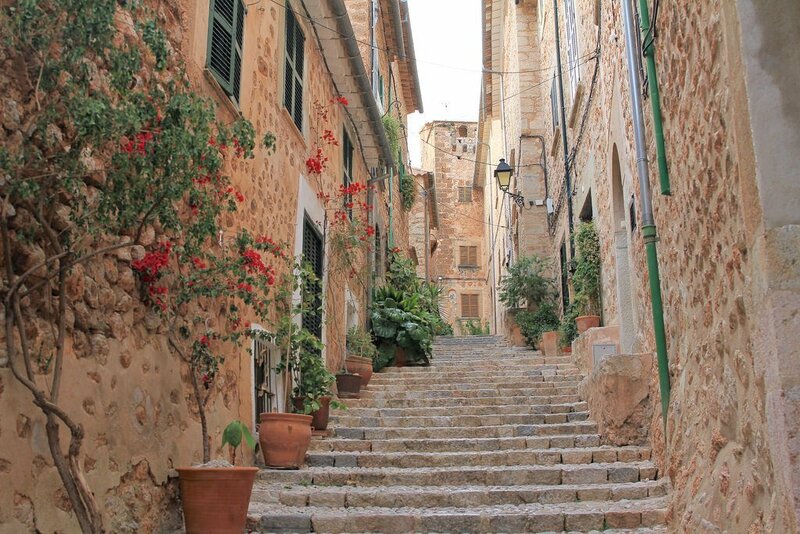 Towering above you are the craggy peaks of the Tramuntana, the Mediterranean sea visible in the distance, the lush citrus groves and terraces of olive tress making this a truly magical walk through a unique landscape. 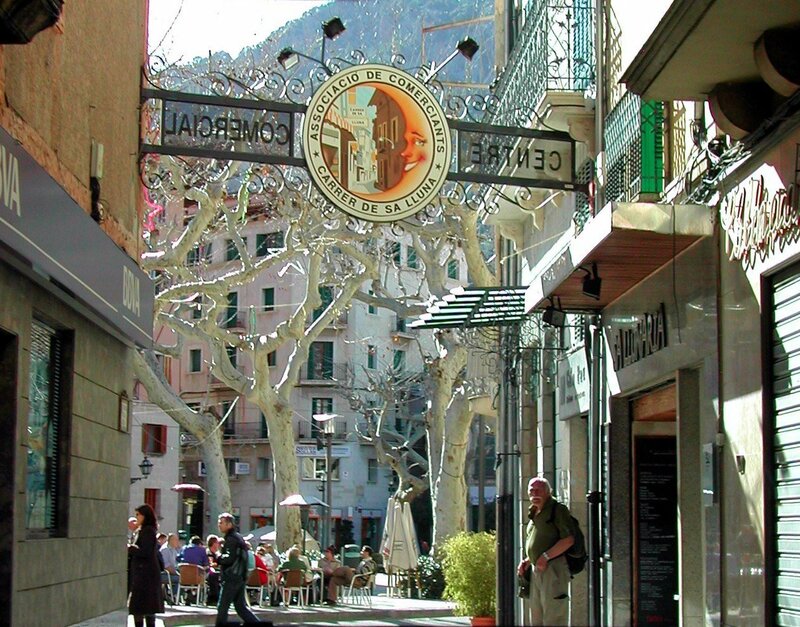 Starting in the centre of Sóller, the walk takes you along Carrer de sa Lluna. Try hard not to be distracted by the many interesting little shops along what is the town´s main shopping street albeit an ancient narrow one. Passing out of Sóller in minutes, you follow the Carrer de s´Alqueria des Comte (featuring a striking modernist building Ca Na Luisa at the crossroads) and you then walk up Cami de Biniaraix on a small rural lane, over the torrent and up to the village of Biniaraix itself, making sure to turn off the asphalt road and walk up the ancient cobbled steps into the small plaza housing just the Church and the Bar Bodega. (the sacred on one side and the profane on the other !). Stop for a glass of freshly-squeezed orange juice and enjoy the tranquility. As you look up, you will see the magnificent Barranc (gorge) de Biniaraix towering above you. Head behind the old rentadores (washing station) at the top of the village and start to climb out of the valley along an asphalt country lane, Cami Vell de Monnaber, where the views just get better and better as you wind your way upwards. Up Up Up, taking in the view at every turn and spying Fornalutx across the valley. 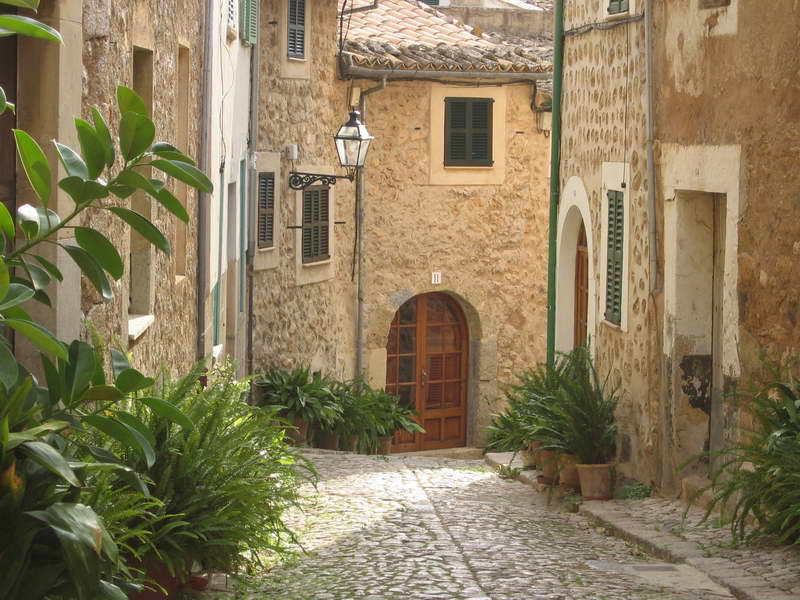 After some 30 minutes, you will see a sign for the village of Fornalutx and a set of ancient steps to guide you down. This is the Cami des Creuer. Passing through olive and citrus groves, you will arrive at the village where there are plenty of opportunities for a well deserved beverage. 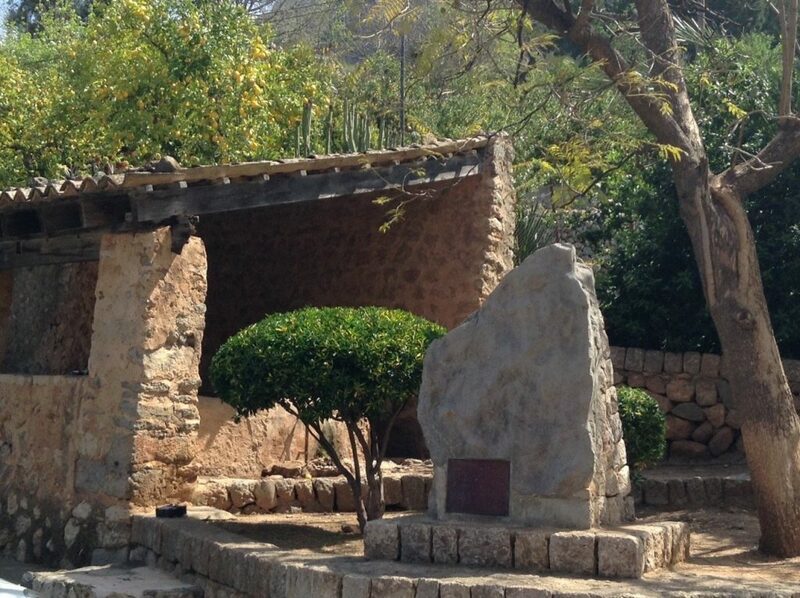 Heading out of Fornalutx, you will past it´s historic cemetery, well worth a short stop, and then follow the path back down to Sóller through ancient woods, the tiny hamlet of Binibassi, and finally down country lanes back to the centre of Soller again. This is not a difficult walk, although the climb up out of Biniaraix is a little steep. The route for the most part is on well marked paths or asphalt roads. 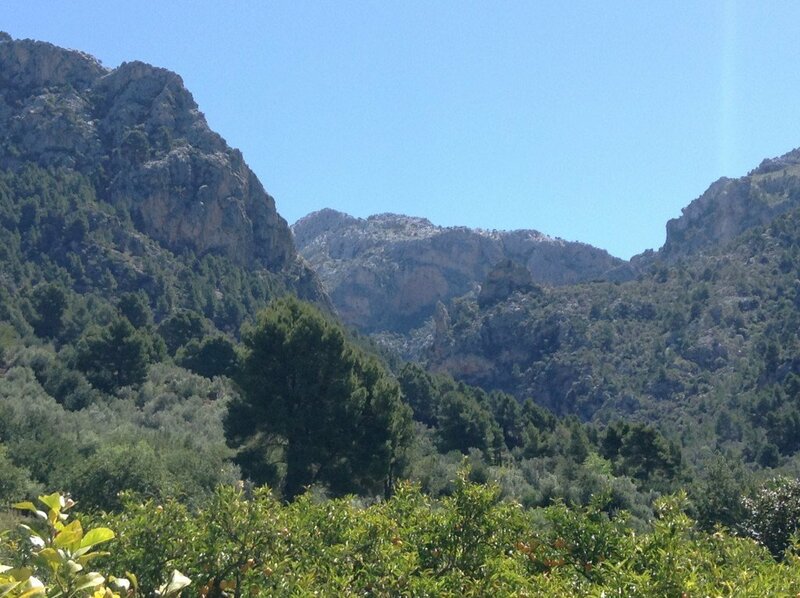 In terms of scenery and landscape, whatever the Mallorca weather the rewards are immense. Allow about three leisurely hours.